*stay healthier *be fitter *become a champion!
" No one knows your capability as well as you do. No one knows how big you can dream. And no one knows how fast you can swim. You, like water, can seek and reach your own ultimate level "
"To swim faster and with a good technique, one has to learn how to eliminate-minimize the water resistance and the drag forces acting on a swimmers body". Hot Tips From Coach Shev! pulse and ride tall (fly/br) "
"Use 'light arms' in recovery phase, and 'soft hands' for entry into the water"
"Do you know when/how to 'switch-on' and 'switch-off' the power in swimming?" "Swim your BK stroke with the head lying still on the mattrass (not pillow)!" "Food For Thought"- More Hot Tips! OUR WORLD CLASS IDEAS AND CONCEPTS ! there is no such a thing as `bad` bodily movement - technique. more efficient, economical and flowing movement. The way a person currently executes their movement - technique (in swimming) is just one way of doing it - in their own unique way. And one has to respect this old and hard earned skill ability - capability ! us, the sport coaches, we are just facilitating that new learning to take place. 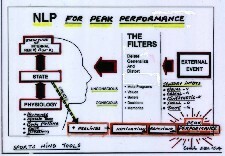 efficient, economical, faster, relaxing and flowing "
NLP and A.L. Techniques for Sport - and for Life! Self-Hypnosis is a priceless life skill, and is more effective than group hypnosis in preparing individuals and athletes for a better performance. Converting Volvo to a Speed Boat ! I have always exited the water two thirds of the way down the field and spent the rest of the race hauling people in on the bike and the run. Two years ago I stumbled across the Total Immersion series of books. I roped a colleague into some lunchtime swimming and we set about learning how to balance. By this summer I was swimming with much less effort than before but I felt like an old Volvo estate – when I tried to accelerate I made more noise and used more fuel but could only go at the same speed. surfed the web and found Shev Gul’s contact details. I sent him a desperate plea. He responded immediately. “Quite often,” he wrote, “what an athlete perceives to be doing and what one sees from an outside observation (video analysis, trained coaches` observation) tend to be out of synchro!” No kidding. We booked a slot at the local baths and we met for the first time at 6.30 one Thursday morning. Shev recommended that we came in a group of 3 or 4. This was partly for economic reasons but mostly because the best thing Shev taught us was how to coach each other. How many of us can look at another swimmer and see what it is that makes them fast or slow? Watching each other swim and learning what to look for has made every swim a coached session. The four of us were Graham (en route to Kona, Hawaii Ironman, Oct 05), Matt (occasional triathlete), Neil (the colleague I had roped in to lunchtime swimming – but who had always been a useful swimmer) and me. The point here is that we were a group of mixed abilities and experience. This did not matter at all. In our first session we saw the effects of throwing your arms wide on the recovery, of pushing your hand across the centre line of your body and of not keeping a smooth kick. We watched the various modern dance movements represented in the weird contortions of our hands during the stroke. We revised our balance, learned to keep our elbows high, to drive our hands forward (not across) with our hips and to keep our hands pointing down or back at all stages of the stroke. No more wiggling your hands around and looking all stylish thank you very much!.. After each session we reported our learning to Shev, which kept us focused and gave us a record of what to work on between sessions - an excellent knowledge resource for future `quality stroke maintenance` refs. I have never been the most coordinated of people but Shev believes that you can learn the required movements. Even when a drill seemed impossible and I’d got it wrong he’d just ask me to do it again focusing on a different aspect of the exercise and, without exception, I got the hang of it. This “learning how to learn” philosophy seems to underpin most of Shev’s teaching and it works. After working with Shev we breathe easier, swim faster and since every swim is now a coached session we are still learning. 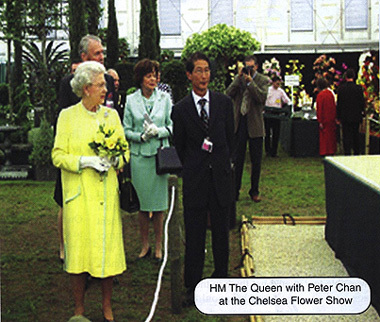 Peter Chan is better known as` Mr. Bonsai` in UK. He has to date won 20 Chelsea Flower Gold medals, Written 6 best selling books on bonsai, including one book on Japanese gardens. 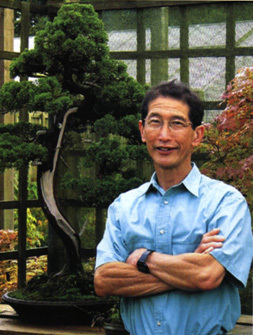 He founded Herons Bonsai - Britain`s premier bonsai nursery in 1986 after a career as a Chartered Electrical Eng and energy policy adviser and speech writer for the government ministers in early 80`s. Before coming to England in 1963 he was a cycling champion of Asia. One of my great regrets in life was that I did not learn to swim when I was younger. 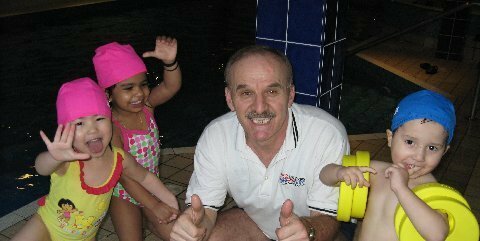 I had my first swimming lesson in September 1996 when I had just turned 56. My wife had been going to the local pool for swimming lessons for a couple of years and she persuaded me to join her just to keep her company. I immediately found the experience of being in the water very enjoyable and because I had no fear of water, I was able to progress fairly quickly. After about 12 sessions, I was able to do the breast stroke after a fashion! I should mention that round about the same time I had the urge to get fit again and went back to cycling which was my first love.during the late 1950s and early `60s, I was a competitive cyclist in the Far East, riding mainly on the track. My best time for the 200m sprint was 13.1 sec. in 1963! I rode a vets 40K in 1998 in 1hr.3mins. I even went back to ride at Herne Hill on Saturday mornings for a while during the late `90s, but a couple of bad spells on the track soon put me off cycling. I decided that swimming was much more sensible and safer. I continued to attend swimming lessons at our local pool, and became fairly proficient at breaststrole. I even did a couple of swimathons in 2000 & 2001 doing 60 lenghts of breast stroke in about 40 minutes. However, the backstroke and freestyle eluded me. My legs used to sink and my arms just churned like windmill blades making me very frustrated indeed. I just could not get the hang of these two strokes. I asked one of the teachers at our local pool to teach me on a one-to-one basis, but progress was very slow. I was just encouraged to keep at it in hope that I would get there in the end. In retrospect, I don't think I would have got very far because proper technique was missing and that was not being taught. But I am not one to give up easily, and I was determined as ever to master freestyle, come what may. I realised that good technique can be learnt. My first breakthrough came in December 2001 when my original teacher loaned me Terry Laughlin's book Total immersion. The revolutionary way to swim better, faster and easier! (the yellow and blue book) . My teacher had no experience of TI but she had heard about it and she found the book interesting, so she gave me the book to read. I read it over Christmas, and it opened my mind to what was possible. For the first time I realized that proficient swimming technique could be learnt. I was so intrigued by what I had read, that I soon got on the web and found out more about TI. I couldn't believe my luck when I discovered that there was to be 4-stroke weekend course run by Terry himself in London in February and I immediately enrolled for the workshop. The weekend course was an eye opener, but frankly I was out of my depth as most of the other swimmers attending the course were much more advanced than me and I did not gain as much benefit as I had hoped. What I did learn however over that weekend, was the importance of balance and being able to float without fear of sinking. progress. but at the back of my mind, I knew that improvement was slow and I was becoming more and more frustrated at how long it was taking me to learn how to swim freestyle well. In August last year I attended a week-long TI course to take my swimming a bit further. I enjoyed the experience of that week as I began to get the hang of being really balanced in the water and my arms had slowed down a fraction, but my kick was still awful and I couldn't figure out how to breathe bi-laterally. Back at my local pool, I continued with the drills, but I felt that what I really needed was a coach to give me regular feed-back and show me what I ought to be doing to make real progress. It was round about the autumn of last year that out of sheer frustration and desperation I saw an ad by coach Shev Gul about his swimming clinic. I e-mailed him and he offered me a free lesson at the Arnos Grove pool in North London. I didn't take him up on it straight away as the venue was 70 miles from where I live. A few weeks later I finally decided to give it a try and since then I have not looked back. What coach Shev has been able to do to my swimming in twelve lessons is nothing short of a miracle. Before being coached by Shev, I wasn't able to breathe bi-laterally; my arms were still too fast and entering the water badly, and my kick was pretty awful and my body position was as flat as a pancake - no body roll at all. Shev did comment on my good balance, which he attributed to the coaching I had with TI, and he built on it. What has impressed me most about Shev's approach is his very unique style and approach to teaching swimming by focusing on `pure technique` - such as imagining how it feels to execute that long relaxed silky kick. Using the mind to have the self belief and confidence to achieve various other techniques. Important concepts such as relaxation in swimming are banded about glibly that they seldom have any real meaning at all. But I felt it for the first time training with Shev as he is a great believer in the "playful mode" approach to swimming. I am also beginning to experience what a relaxed arm entry feels like. Another useful tip he gave me was not to swim everyday. In my enthusiasm to learn to swim well, I used to visit the pool daily; he advocates swimming three to four times a week. I found that by cutting back a bit on my swimming sessions; I am now swimming better and more purposefully. Swimming with the core body or engaging the hip is another concept, which I had heard about, but I did not experience it until taught by Shev. The `Kayak Arm' position is his forte. Until I trained with him I did not realize its immense importance in generating core body propulsion. Some of Shev's drills and exercises have been revolutionary so far as Im concerned. The 'Popov kayak action or rock n roll' drill is one, the 'fingers skimming drill' is another. Only recently I was introduced to the 'one arm action' drill and this has helped me roll and breathe better. 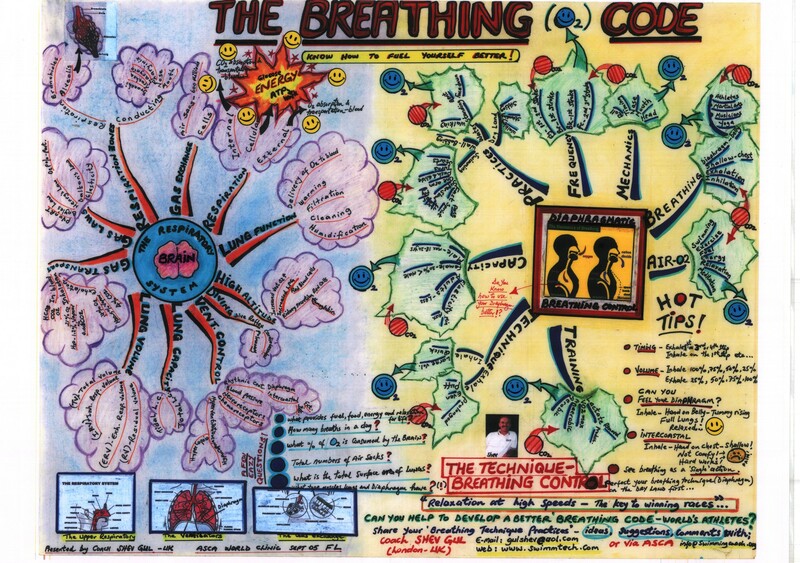 I now breathe bi-laterally with no trouble at all and well on the way to perfecting that 'sneaky breath' technique, i.e. breathing with one goggle out of the water. Feedback has been a vital part of my training sessions with Shev. Feedback from him at poolside; feedback from us and him via e-mail and feedback to each other fellow swimmers as we train at the pool. If I had to put a finger on the key ingredient to my success on in recent months, it would be this vital `feedback` that we constantly get from him. So, am I really making progress? Because I had a couple of fellow swimmers at my local pool ask me to show them how to swim with a `good style` as they describe it. I am also now able to discern who swims well and who swims badly and what their faults are. I am aware that I am long way to go before I get a real taste of swimming in `The Zone`, i.e. swimming in a `reflex and sub-conscious mode` as coach Shev calls it, but I believe I will get there soon……. 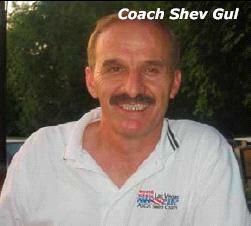 Coach Shev Gul is considered by those who know him as a `Thinking Coach`. Demanding from swimmers complete length after length, day after day is not for Coach Shev. Respecting swimmers` intelligence and then setting out to empower them with meaningful knowledge and know-how; to set alight inside them a burning desire of wanting to learn more, to achieve, succeed and excel, is more in line with Coach Shev`s thinking. The transformation of Melissa (12) into a thinking swimmer, wanting to excel in swimming sport may touch a chord with young club swimmers and parents alike. Melissa`s parents heard about Coach Shev`s stroke technique clinics via UK Swimming Magazine and booked her for a six weeks programme of stroke technique correction and fine-tuning. When the coaches hand over the stroke technique excellence toolbox to swimmers, it helps them to `own the knowledge` and the know – how. At every step of learning-empowering, swimmers need to be told and explained clearly, `WII-FM`-What It Is in it For Me`? This is the key to Coach Shev`s success in helping competitive age-group swimmers to regain their lost self- belief, confidence and their winning habits again. This empowerment sets alight a desire in the swimmers to become more curious, to work harder, to develop a self discipline , to continue learning and develop, not for a short term but for the rest of their lives. It is a simple recipe for developing tomorrow`s self-sufficient, motivated, confident, intelligent and model high-achievers. Indeed, champions in swimming - in life. 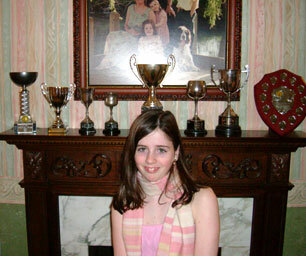 Melissa has benefited enormously from Coach Shev`s stroke technique programme. 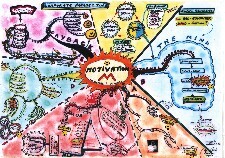 She has gained much from his attitude and coaching-as well as her technique having been completely `revolutionised`. Coach Shev has provide excellent inspiration for her confidence and motivation. Develop an intuition to be off the starting blocks with the `bang`. Be the first one to hear and respond to the starting signal. Finish your kicks with a `whip like action` and soles of feet kissing. In all strokes timing is everything. Learn well, when to execute your 1st and 2nd down beat kicks in relation to the arms/hands position. Body rolling, relaxed high elbow recovery and gliding tall. Sneaky breathing technique (DBT) with relaxation coming from within…. Body rolling and gliding tall with high shoulders and hips, Fixed head resting on the mattress …..